Place Value is not the easiest for my eldest so I am constantly looking for and creating new ways to help him understand. For this particular game, we were practicing place value and reading large numbers. 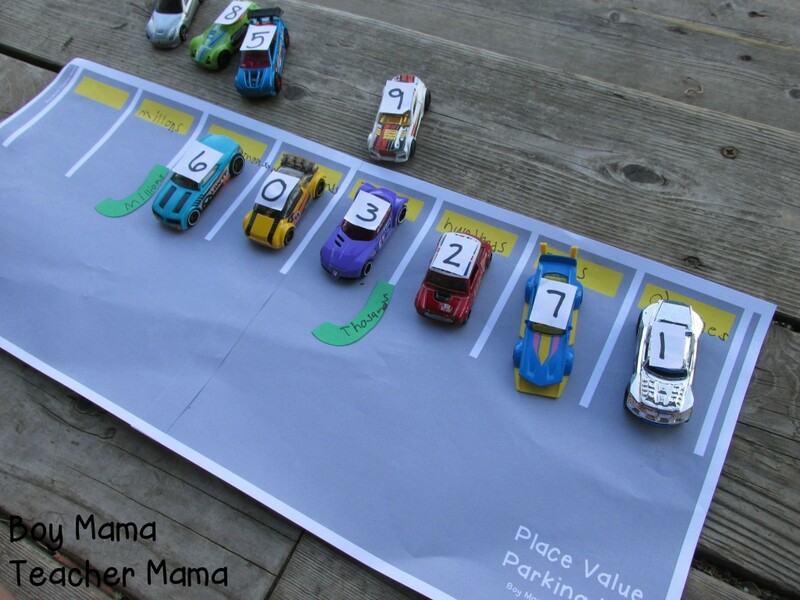 I did not want to just give him a set up Place Value Parking Lot. Instead, I wanted him to create it on his own. Using sticky back paper, I wrote the digits 0-9. 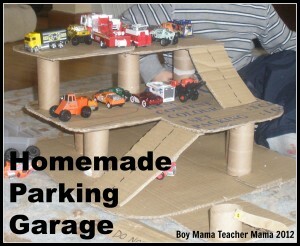 We then attached one digit to a Matchbox car. I then had him write the place value on each parking space (ones, tens, hundreds etc). I emphasized that we start with place value on the right which is different than with reading and writing where we start on the left. Once the parking lots was set up, we were reading to practice some place value. Park on car at a time, beginning on the right. Read the number after each new digit is added. 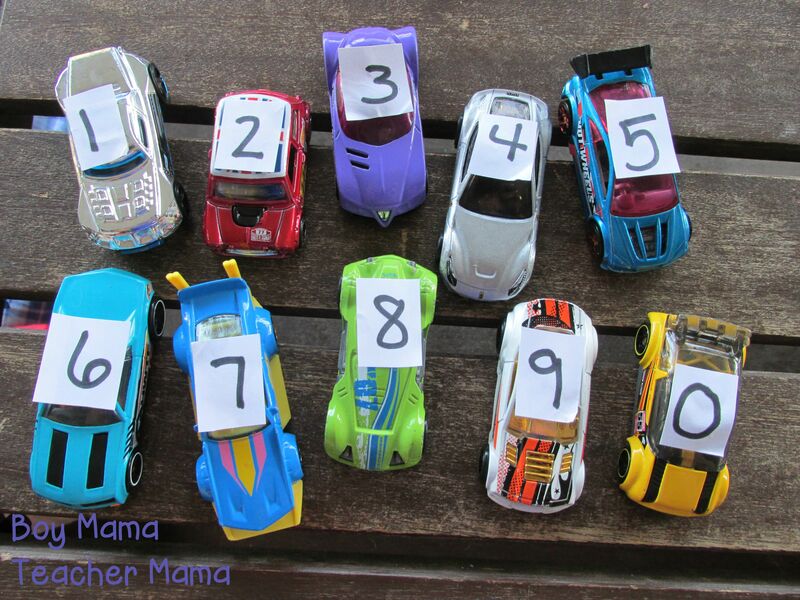 Chose a number of cars and try to create the biggest number possible and the smallest number possible. 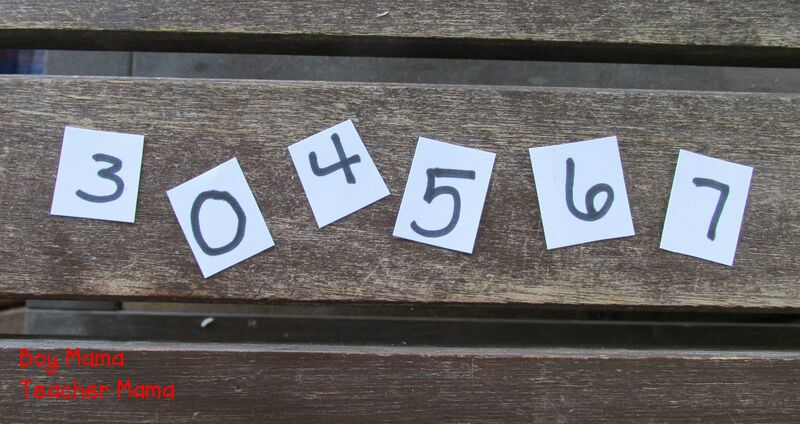 Create a number and have your partner read it correctly. 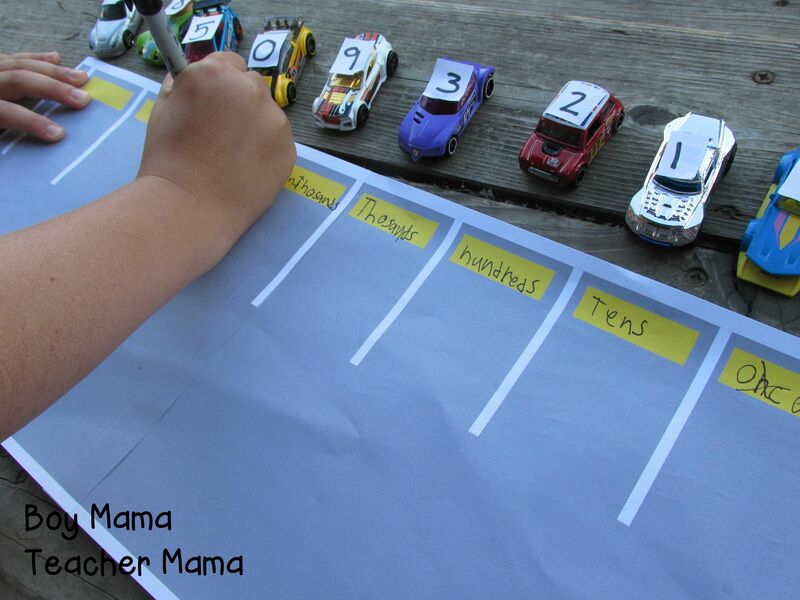 Ask which digit (car) is in the ones place, the tens etc. Ask how many ones, tens etc are in the lot. 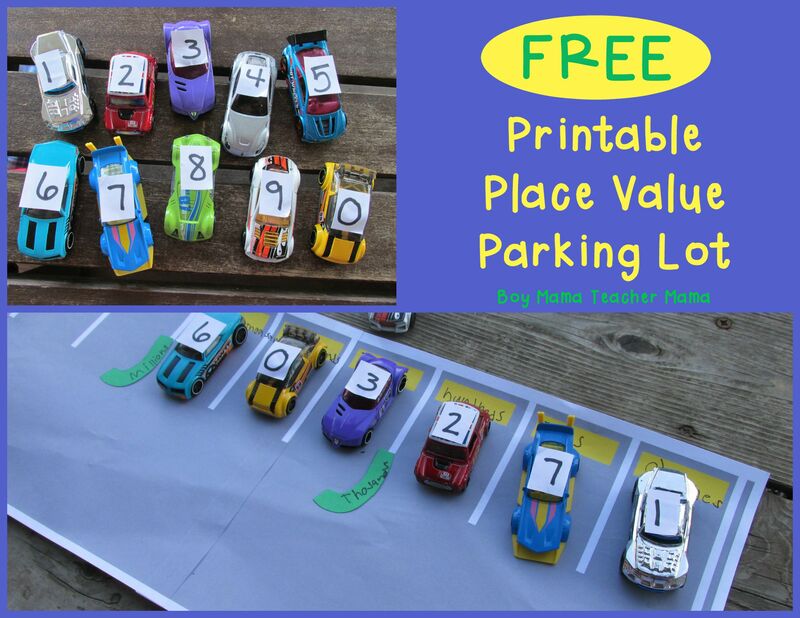 Create two parking lots and double the number of cars and play against each other to see who can build a bigger or smaller number. 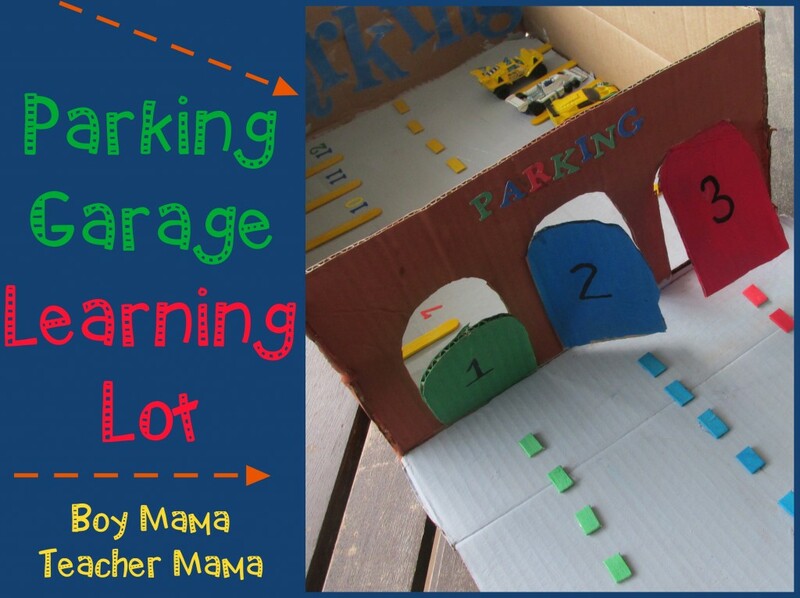 The parking lot can also be used for practicing sight words. 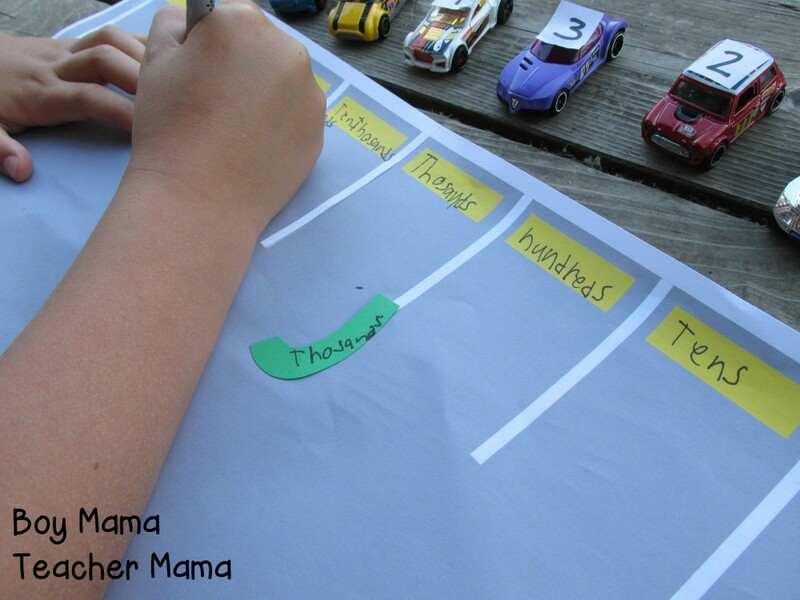 Check out our post, Sight Word Practice Box, to see how.